SO I finally have my "stuff" together enough to do a WIP wed! And there are a few WIP's!! 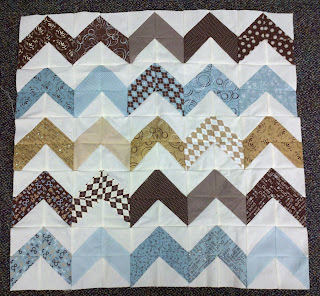 Currently I'm doing the "Road to Tennessee" quilt from Moda Bake Shop, but a slightly different layout. 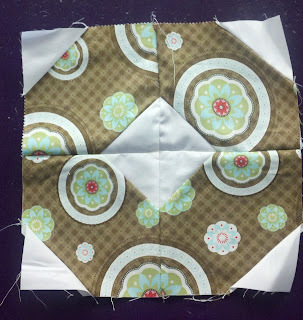 I started it eons ago (last year sometime) and it sat and sat, but I am determined to make headway. 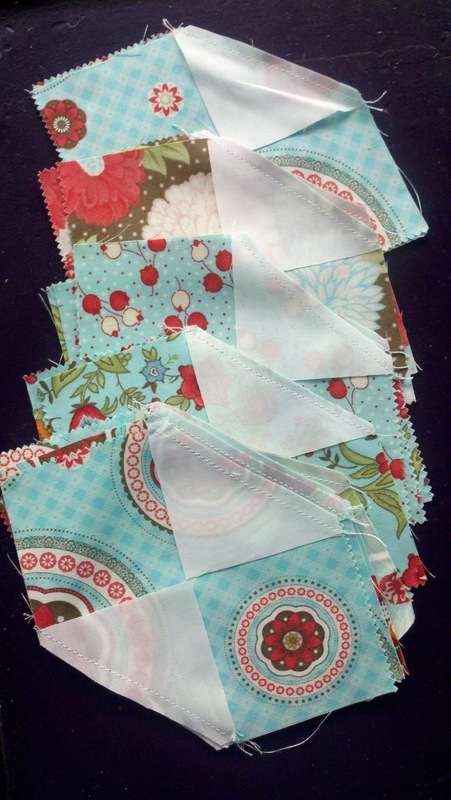 I'm using BLISS by Bonnie and Camille and it was a layer cake I cut into 4 charm squares, and each of the "O"'s is going to be the same fabric. Please pardon the unironed block. It's been pressed, but I don't have a new photo. aren't they pretty!! My goal by next week to have this as a completed top! I've made zero progress on this quilt. It's next on the list of WIP's to finish! likely not, but it's a mess really. I am going to have to see what I can do to resuscitate it. On a happier note....I have a FINISH!!! 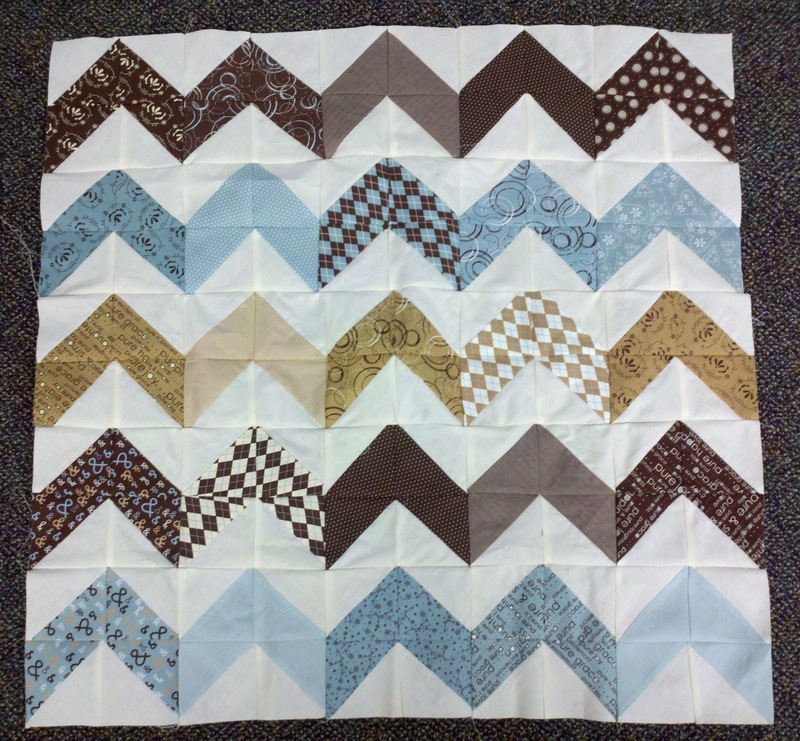 The forever and ever and ever quilt is done. This was a UFO from 2009 from Moda Bake Shop titled "In a Jiffy". It wasn't a jiffy for me!!! I have other UFO's but those are the next two on the list. I am DETERMINED to finish these things!!! uh oh, what's wrong with the zig zag??? I LOVE it!! If you're gonna toss it, toss it my way, I'll send you fabric in return :) Love the bliss fabrics in the Rosd to Tennesse, can't wait to see that one done. 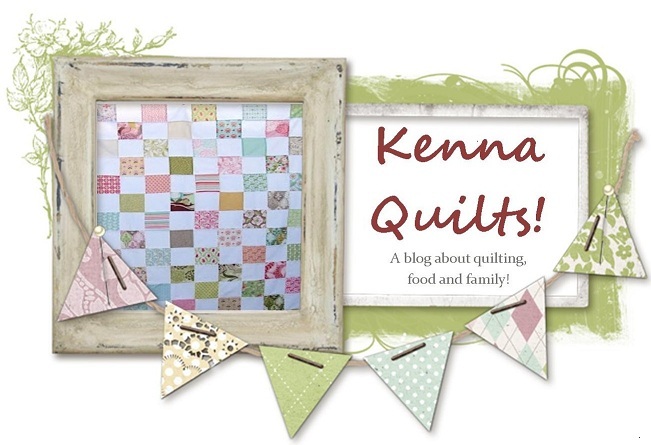 Such pretty spring colors in that postage stamp quilt, very nice! !